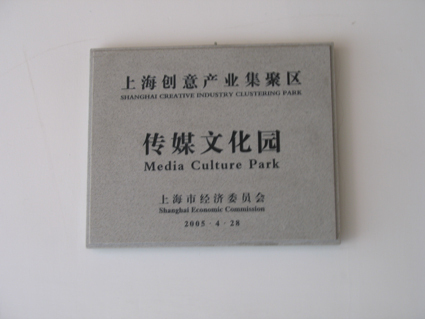 Shanghai Media Cultural Park is established in 2004 with the support of government in No. 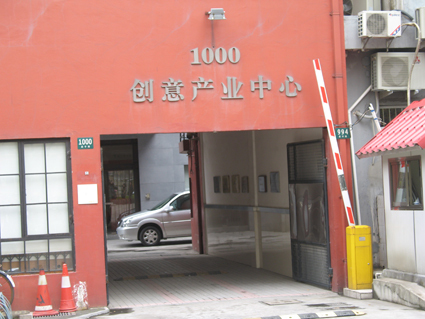 1000 of Changping Road. 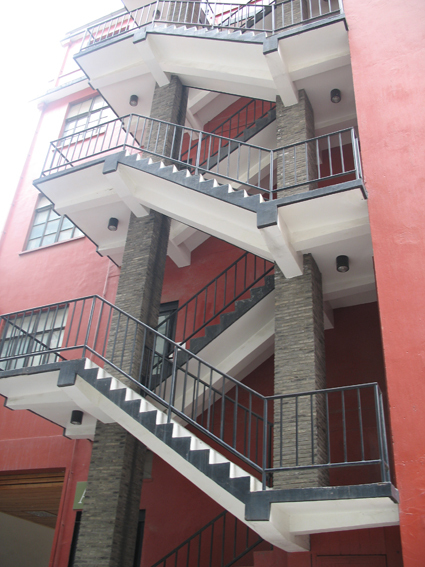 Its building is use to be the space of Shanghai Window Hook Factory which was established in 1980s. 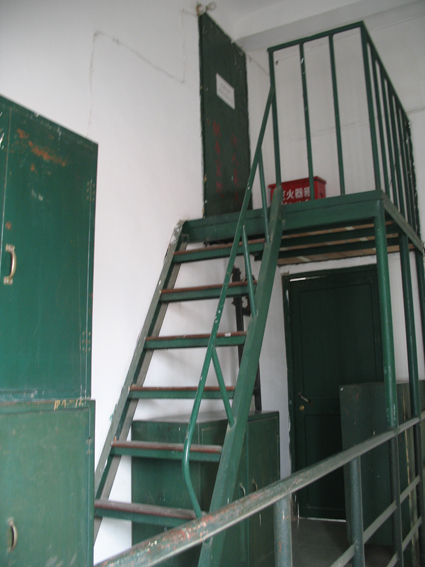 Because of the economic reform of China the factory had to stop operating. 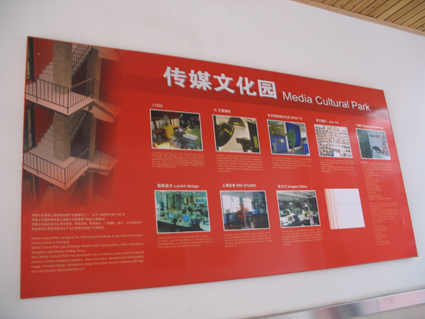 The government spent about two years to transform it from old factory to industrial park through inviting investments, especially from overseas. 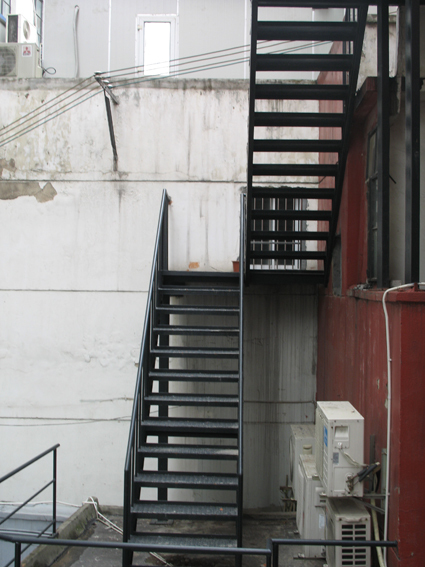 Nowadays the old factory seems to be another loft in Shanghai and forms its own style which is different from Tianzi Fang and the No.8 Bridge. There are two industrial chains in this park; one is the chain that concludes production of film and TV. As the gatekeeper introduced that the park is one of the main place that pop stars to participate in shooting the advertisements. 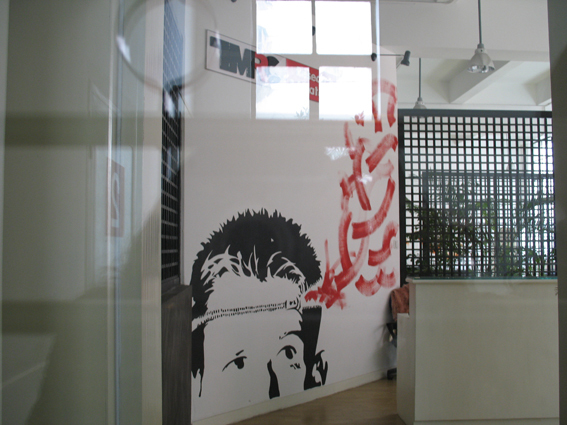 Another chain is including many famous billboard companies and design studios. 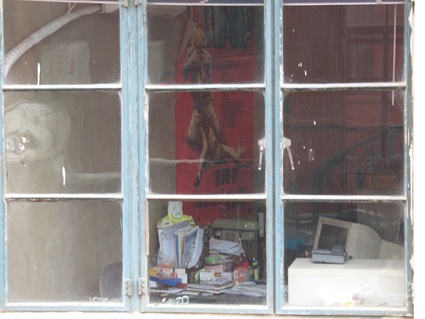 As the gatekeeper who was once the worker of shanghai window hook factory said the companies and studios which settled here rebuild the factory little in order to keep the original style. The old building of the factory. 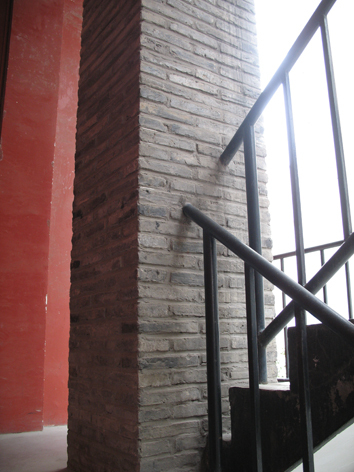 The pillar, railing and even the color of the wall have never been changed a lot. 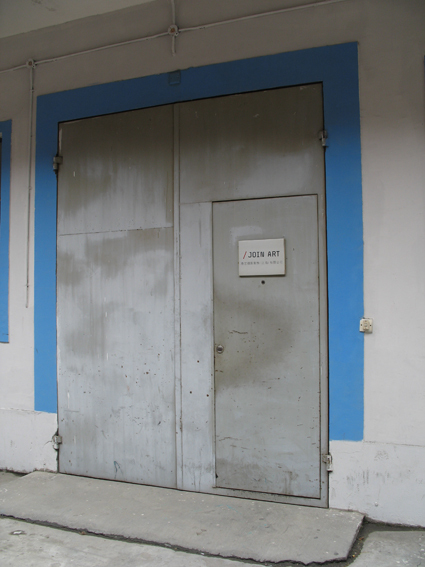 The building looked so old outside but almost all the studios design their working place inside. The gatekeeper Mr. Xiao said the reuse of old factory provided many job to the laid-off worker of the former window hook factory and it also contributed to social security.